You may not know this, but I have a small side jewelry business. (A single mom has to keep the bills paid until her grammar blog becomes a worldwide phenomenon, you know?) 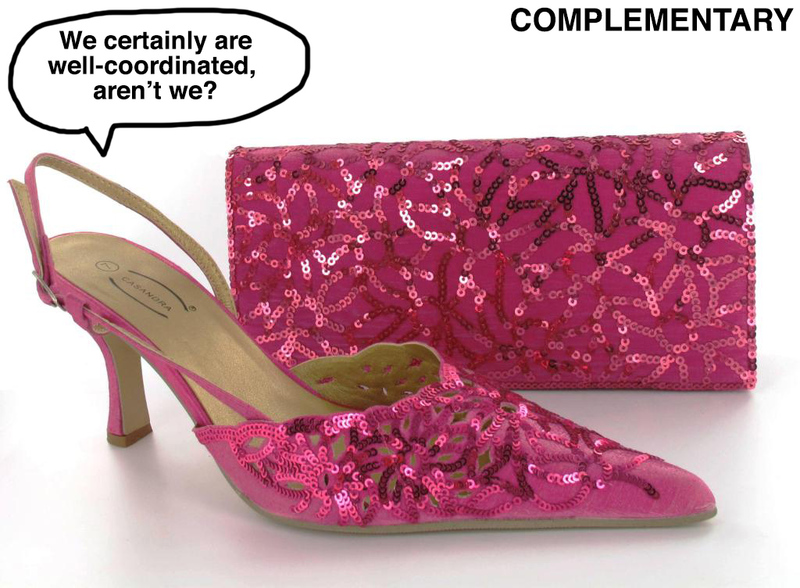 I often see questions from other stylists asking what pieces “compliment” some other piece. Now I have some pretty fabulous and expensive necklaces, but none of them have ever complimented a pair of earrings or bracelet. That would be just plain creepy. 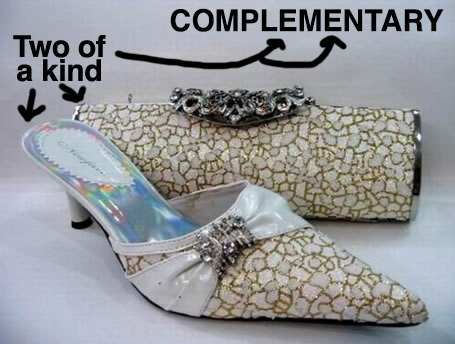 Otherwise, when you’re talking about two things that complete each other or make each other perfect, you should write that they “complement” each other. Thanks, sweet readers, for being faithful, encouraging, and totally fantastic! Oh, and I love the hair and the shoes. 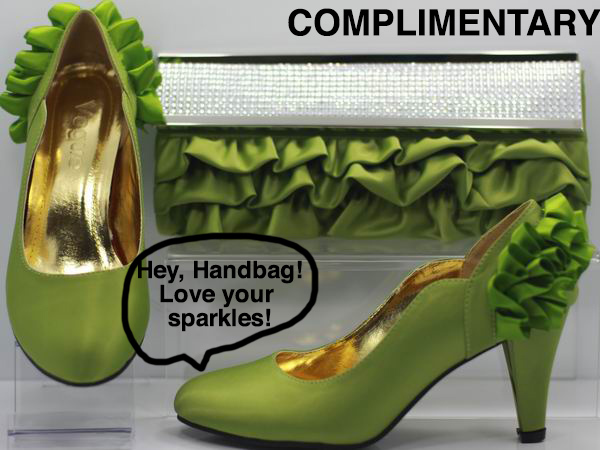 Compliment and complement has always been a demon for me. Thank you for the easy way to remember. When are you going to get your book written? Glad I could help! You know, I need to get that thing done ASAP! This entry was posted on March 19, 2014 by The Grammar Belle in Spelling, When Spellcheck Won't Help and tagged complement, complementary, compliment, complimentary, spellcheck, spelling, When Spellcheck Won't Help.